Bidding at auction is NOT a scary or daunting task and a NOD or a WINK will NOT commit you to buying a house. The bidding is conducted at a rate in which a novice can follow and is not like a tobacco or cattle auction where it is so fast you cannot understand a word the auctioneer is saying. The auction is conducted in such a way that is user friendly for everyone. As a potential buyer you attend the auction to bid for the property. On arrival at the auction venue you register to bid by providing your name, address and telephone number. You will be given a ‘bidding paddle’ which is the tool you use to make a bid during the auction it is much like a lollipop which is hand held and to make a bid you simply need to raise the bidding paddle. If you wish, a member of The Agents Property Auction team can sit alongside you during the auction. Proxy bidding is used when you cannot attend the auction. 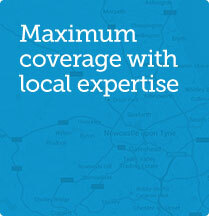 You submit a bid in writing and authorise The Agents Property Auction to act as a proxy for you. 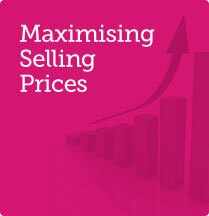 You authorise them to act in the auction room on your behalf up to a maximum amount. The bidding is made in increments as the auction progresses and they do not automatically offer your maximum amount. If you authorise a maximum amount of £95,000 yet in the auction room you have the highest bid of £90,000 and this has met the reserve price you will be successful in buying the property for £90,000. 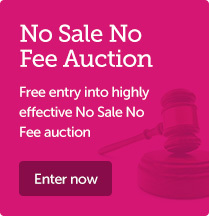 Very simple, you bid on a property during the auction whilst on the telephone. A member of The Agents Property Auction will call you a few minutes prior to the property you are interested in being offered for sale. We repeat the auctioneers words to you and you instruct the member of staff when and how much you wish to bid. Completion of a Remote Bidding Form is all that is needed to make either a Proxy or Telephone Bid. 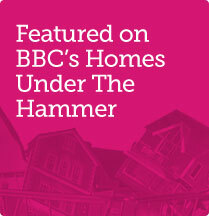 This can be found within the auction catalogue, by calling 01661 831360 or by downloading it below. You can bid online from the comfort of your home, your desk, or out and about. 24 hours a day, 365 days a year!! Use the Find a Property in the search facility above to find the property you are interested in, as you view the property details you can simply place your bid to the right hand of the screen. Happy bidding, please call 01661 831360 for any additional help or information. Online bidding closes 24 hours prior to the live auction. Absolutely fantastic, could not have been better, I got £10,000 more than expected! I was kept informed every step of the way and am really impressed with The Agents Property Auction.